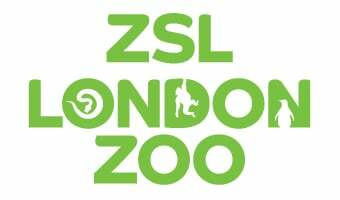 This is a one-day conference hosted at ZSL London Zoo and aimed at people aged 16+ who are interested in pursuing an animal based career. This conference will be most useful to students who know they would like to work with animals, but are not sure what direction to go in. There are many diverse and varied animal careers and this event will aim to give you an overview of some of them. The next ZSL Animal Careers Conference will be held on 27th August 2019. Tickets are now available to purchase at an early bird rate of £105 until the 30th April 2019. After this date, tickets will return to the full price of £125. Members and Fellows will recieve a discounted rate of £105 after the early bird offer. The discount will be automatically applied to the basket. The discount is only valid for one person per booking, so if more than one member/fellow are booking, the tickets will need to be booked seperately. We are also offering a group rate of £95 per person for bookings of 10 or more. This discount will be automatically applied at checkout. We are offering fifteen fully-funded places for students who would like to attend this conference. These places will be fully subsidised and free to the student. To be eligible for one of these places, you must be in full-time education and either in receipt of free school meals or of a government university maintenance grant. ZSL reserves the right to check this with your education provider. To apply for a fully-funded place at the ZSL Animal Careers Conference, please complete this application form and email it to zooacademylz@zsl.org. Assuming applicants are eligible, we will be selecting interested and enthusiastic students who we think will gain most from attending the day so try to make this come across in your answers. Please write as much as you feel necessary, but use the opportunity to make yourself stand out! The closing date for all fully-funded places is 30 June 2019. Applications received after this date will not be valid. Applicants will hear if they have been successful after 8 July 2019. NB. Please note that timings and activities may be subject to change. Please be aware that this event will cover many different animal careers within ZSL and although it will include animal keeping and veterinary work, it will not focus specifically on these. If you are interested only in a specific career, please have a look at our other programmes which include Zoo Academy, Zoo Veterinary Careers Day and Conservation Careers Day. Please email zooacademylz@zsl.org for more information on these courses.